Nominate a peer or colleague who goes above and beyond what’s expected. 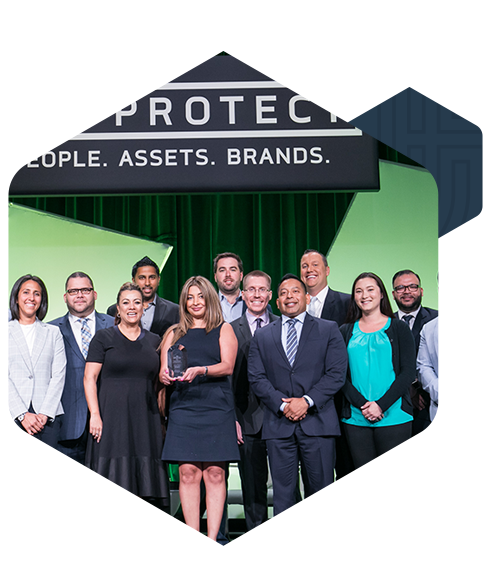 The NRF PROTECT Awards are the highest loss prevention and asset protection recognitions in the retail industry. Help us celebrate our successes and recognize the hard work and talent within our ranks. Nominations have been closed. If you have any questions, please contact programs@nrf.com. The NRF Loss Prevention Council’s Ring of Excellence Award is the premier recognition award for Loss Prevention professionals. The award recognizes outstanding leaders who have undoubtedly shaped the industry with their contributions. To maintain the integrity of this prestigious recognition, nominated individuals must have made an extraordinary industry contribution. To be announced at NRF PROTECT 2019! The NRF Law Enforcement Retail Partnership Award acknowledges law enforcement professionals or agencies that have gone above and beyond the call of duty to support the retail industry in combating retail crime, protecting assets and reducing losses. Eligibility – An individual or agency whose work and dedication assisted a retailer in resolving a specific case/issue; award is open to a law enforcement professional at the local, state or federal level. Criteria – Investigation resolved by a law enforcement professional based on the complexity of case, ingenuity/creativity, dollar value and impact on company or industry. Law Enforcement Retail Partnership Award winner(s) will have their investigation highlighted at NRF PROTECT and receive a personalized award.They will also receive an invitation to participate in NRF’s Fusion Center and attend the ORC Investigators’ Network and Law Enforcement Breakfast.